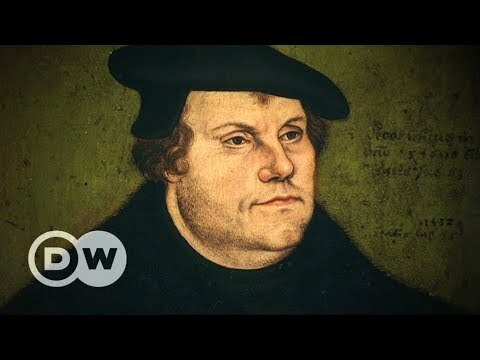 Martin Luther - how a humble 15th-century monk was able to change the world. Luther was born into a world governed by the Roman Church and a distant emperor. He managed to awaken a national spirit in Germans and become someone they identified with. ‘Holy Roman Empire of the German Nation’ was what the territories in central Europe were called in the 15th century. It was the era of the Habsburg ruler Charles V, who saw himself as ruler by God’s grace and defender of Christian unity. In 1521, he said that the sun never set in his empire, which stretched from Latin America in the west to central Europe and to the Philippines in the east. The German territories were just one of his realms, and powerful princes defended their own interests here. Secular and religious power was still based on the Christianity of the Roman church. But many saw the Reformation as an opportunity to distance themselves from Rome and the Emperor, and to improve their standing in the political power structure of the day. Unlike the Habsburg emperor Charles V, who didn’t even speak German, Luther grew to become someone the people identified with, and he became hugely popular. The reformer was one of the first major figures to explicitly play the German card and appeal to national sentiment: one of his missives said, "Why should the Germans put up with robbery and oppression imposed by foreigners?” Luther’s translation of the Bible into German was an important step in forming a German identity, but the Reformation left Germany divided along religious lines. _______ Exciting, powerful and informative – DW Documentary is always close to current affairs and international events. Our eclectic mix of award-winning films and reports take you straight to the heart of the story. Dive into different cultures, journey across distant lands, and discover the inner workings of modern-day life. Subscribe and explore the world around you – every day, one DW Documentary at a time.